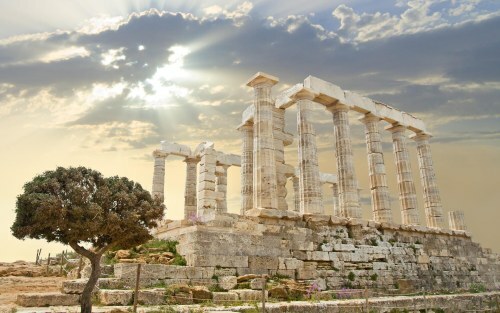 If you don't mind an overnight layover in Amsterdam, Jet Airways and Aegean Airlines are showing some flights from Toronto to Athens, Greece for $605 CAD roundtrip including taxes. toronto, yyz, flight deals, europe, southern europe, athens, greece, ath, balkans, southeastern europe, jet airways and aegan airlines. 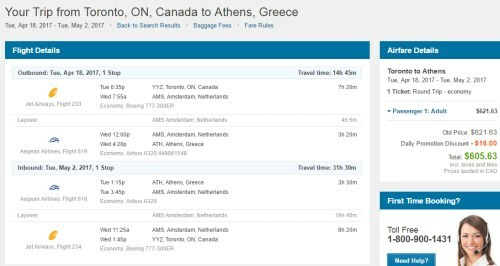 One Response to "Toronto to Athens, Greece - $605 CAD roundtrip including taxes"
Is there any more dates going into June 2017 ?